The All New, All Daring Delusional Honesty! 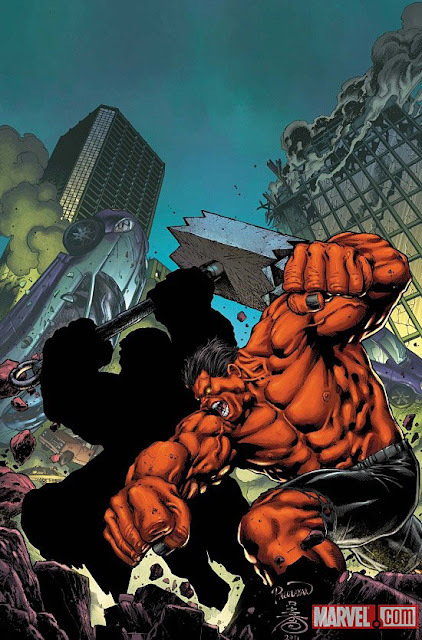 : Do You Fear...The Red Hulk Getting His Tuchas Kicked? Now that you mention it Gary, it does look like the Thing. Wouldn't it be awesome if Marvel used all the old time bruisers as The Avatars of Fear? I mean they got Hulk,Juggernaut, (possibly The Thing), who wouldn't like to see a returning Abomination and Rhino added to the mix? PS Who is the metal guy with the spikes? I don't recognise him.